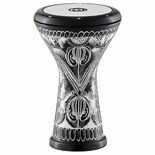 Meinl Aluminum Darbuka - 5 1/3" x 9 1/4"
Meinl Aluminum Darbuka - 8" x 14 1/2"
Meinl Copper Hand Engraved Doumbek - 8 1/2" x 17 1/8"
Meinl Aluminum Hand Hammered Darbuka - 8" x 14 1/2"
Meinl Aluminum Black Vinyl Doumbek - 8 1/2" x 17 1/8"
Meinl Aluminum Darbuka - 7 1/4" x 13 1/3"
The Steve Weiss brand 10" Doumbek features a calf skin head and a stamped Nickle shell that stands approx. 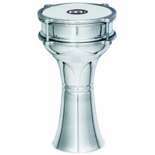 15" tall. 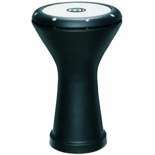 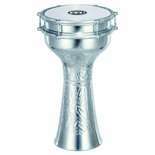 Meinl Aluminum Darbuka - 6 1/2" x 12 3/4"
The Steve Weiss brand 12" Doumbek features a calf skin head and a stamped Nickle shell that stands approx. 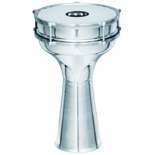 18" tall. 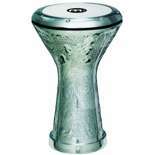 Meinl Aluminum Hand Hammered Darbuka - 7 1/4" x 13 1/3"
The Steve Weiss brand 12" Doumbek features a calf skin head and a stamped Brass shell that stands approx. 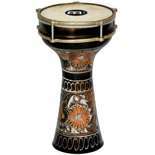 18" tall. 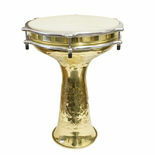 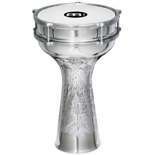 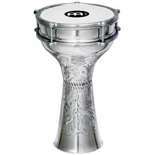 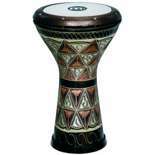 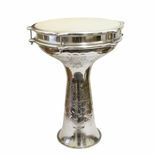 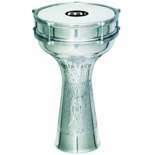 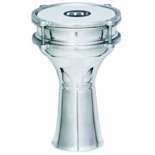 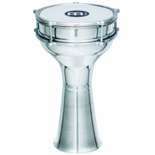 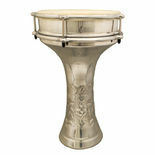 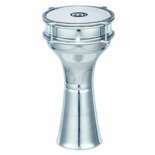 Meinl Aluminum Hand Hammered Doumbek - 8 1/2" x 17 1/8"
Meinl Aluminum Darbuka - 5 7/8" x 11"
The Steve Weiss brand 10" Doumbek features a calf skin head and a stamped Brass shell that stands approx. 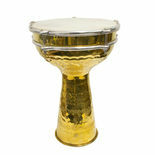 15" tall. 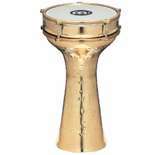 Meinl Copper Hand Engraved Darbuka - 7 7/8" x 15 1/2"
Meinl Aluminum Hand Hammered Jingle Darbuka - 8 1/4" x 16"
Weiss Egyptian Style Doumbek - 8"
Meinl Aluminum Hand Hammered Jingle Darbuka - 8" x 14 1/2"
Meinl Copper Hand Hammered Brass Plated Darbuka - 7 7/8" x 15 1/2"